For Christmas this year, I received a lovely tutorial by Jane Davenport from my wonderful in-laws, on figure drawing. After watching several of her classes, I’ve determined that it will probably take some time to master the human shape. However, it looks like a fun process. 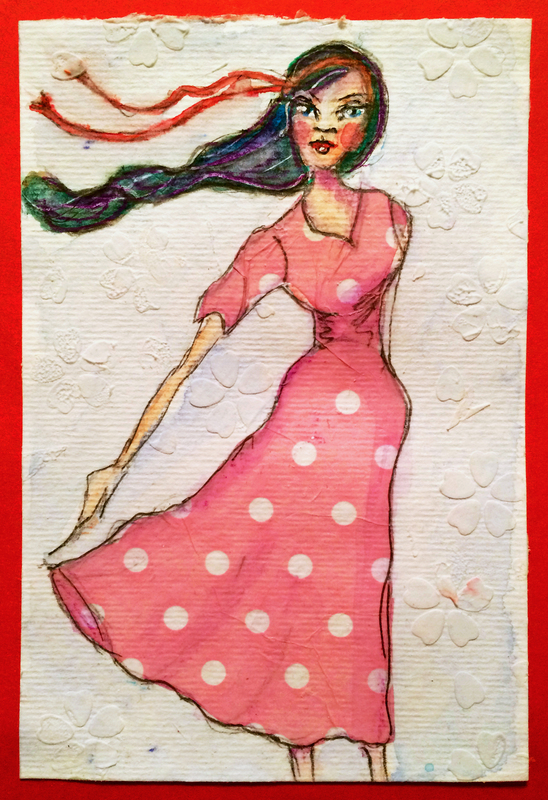 Here is my first watercolor and mixed media painting (thank you card) from Jane Davenport’s I Heart Drawing class.